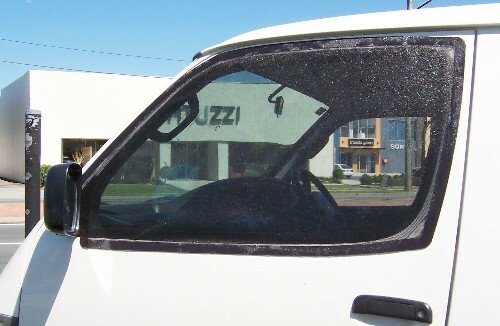 Includes: The patented Flexible Magnetic Insect Screen. 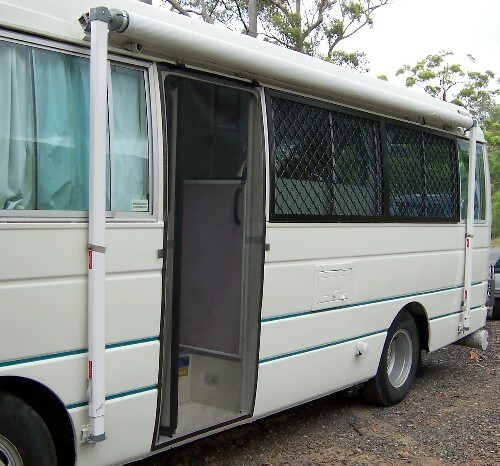 Rollaway Cassette Insect Screening System. 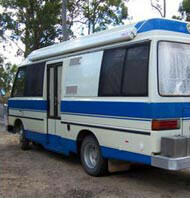 Two part Flexible Magnetic Insect Screens for bus windows on motorhome conversion. 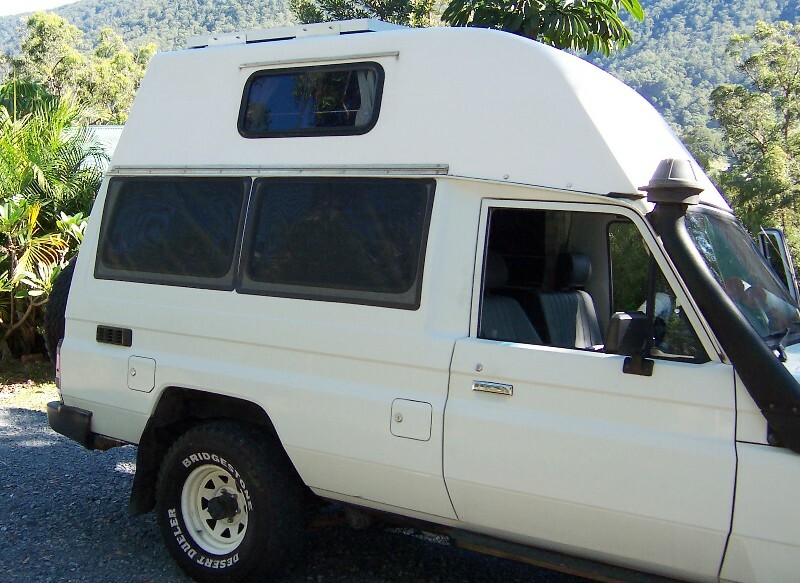 A magnetic subframe is permanently installed externally on alloy window frames. 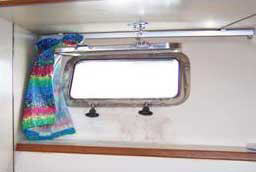 The flexible magnetic insect screen attaches magnetically to the sub frame. Note radius corners. 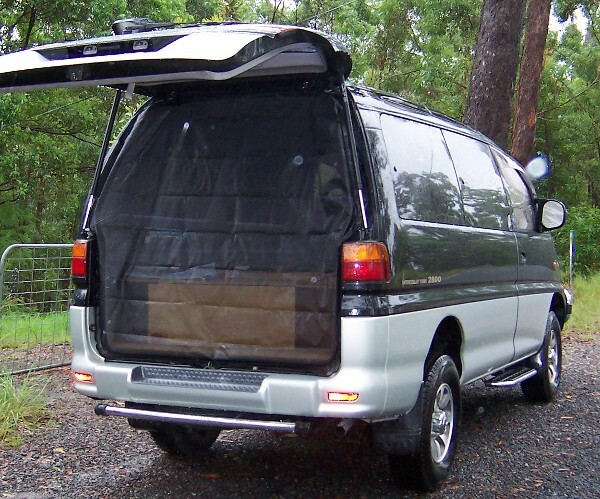 Flexible Magnetic Insect Screen for sliding door opening on 200 series Toyota Hiace provides a total seal all round. 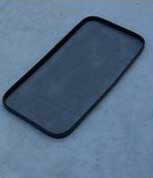 The insect screen can be left in place without interferring with the operation of the sliding door. Entry and exit is via overlapping mesh panels sealed from top to bottom with a flexible magnetic fastener. 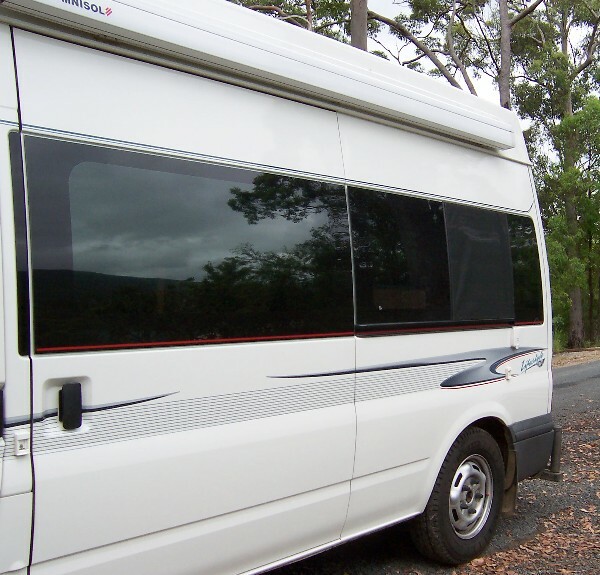 Flexible Magnetic Insect Screens for the right side and left side centre windows on Subaru Outback station waggon. 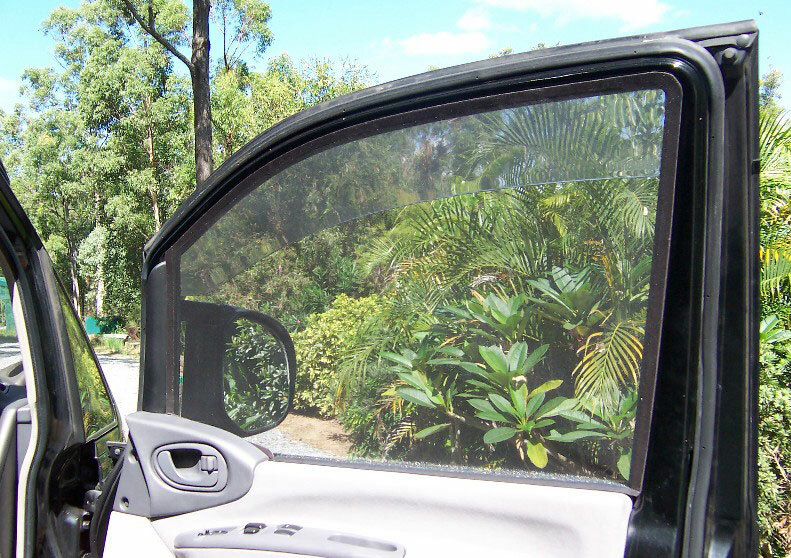 Flexible Magnetic Insect Screens can be made for any make and model of vehicle. 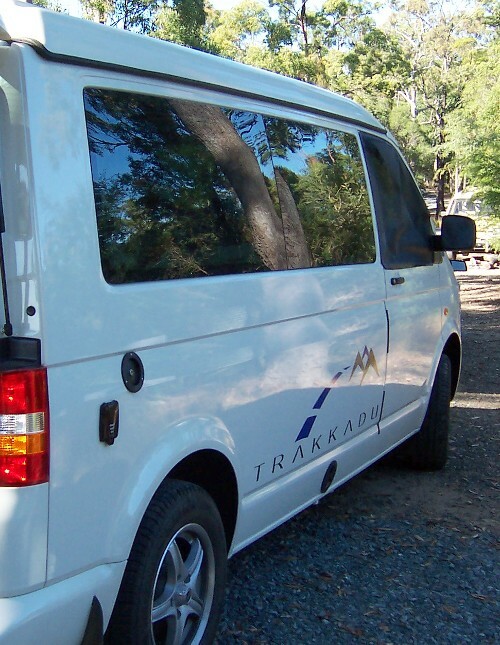 Flexible Magnetic Insect Screening Curtain is an effective insect screening barrier on Volkswagen Transporter T4 Trakka Conversion. 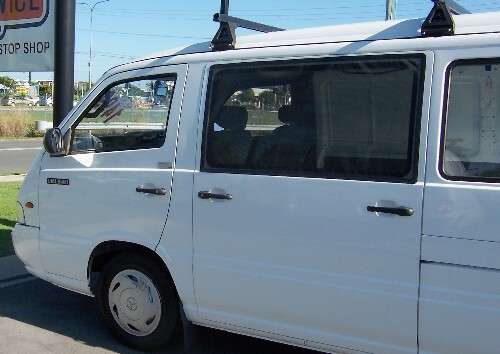 In the images below, the owner of this vehicle; Mick, demonstrates how easy it is to exit the vehicle by pushing through the overlapping panels and breaking the magnetic seal. 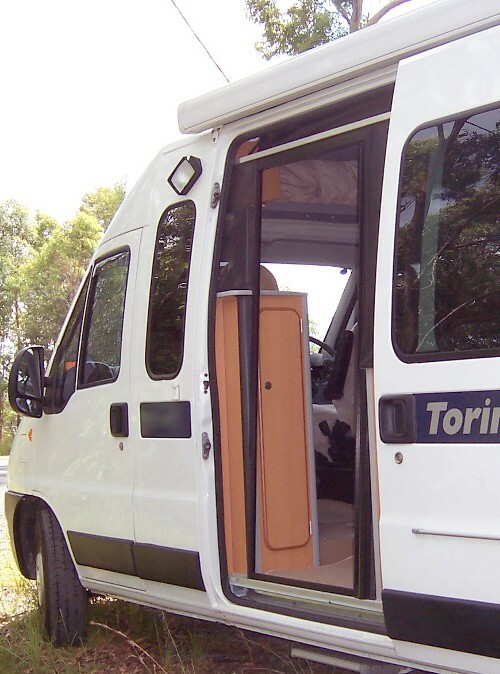 Flexible Magnetic Insect Screen for sliding door opening on Fiat Ducato provides for improved airflow via the large door opening of the vehicle. Although this product can remain in place without interfering with the operation of the door it can be easily removed for cleaning and storage. 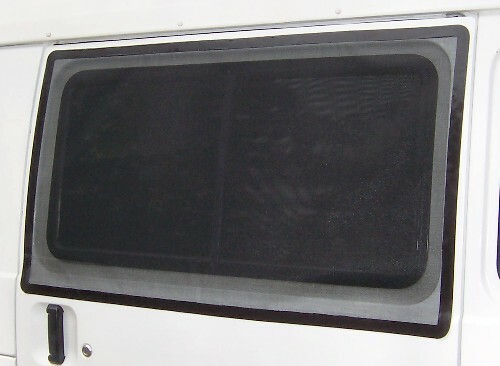 Tailgate insect screen for Ford Transit Motor Home. 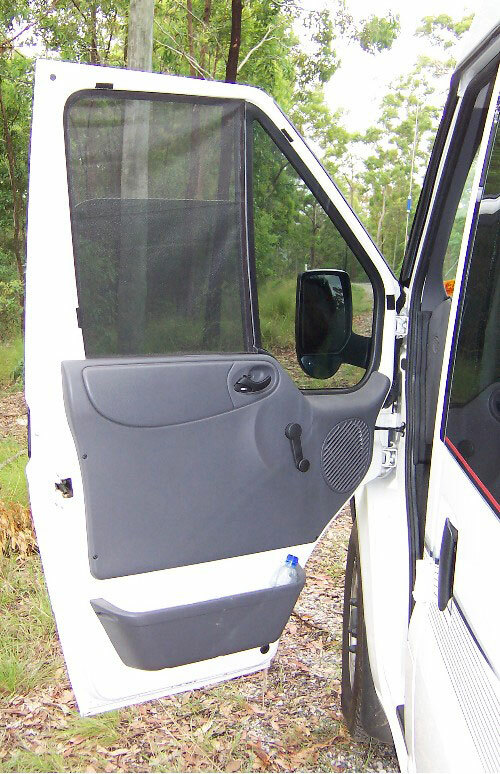 Comprised of three overlapping panels sealed with flexible magnetic fasteners allows for easy access into and out of the vehicle. 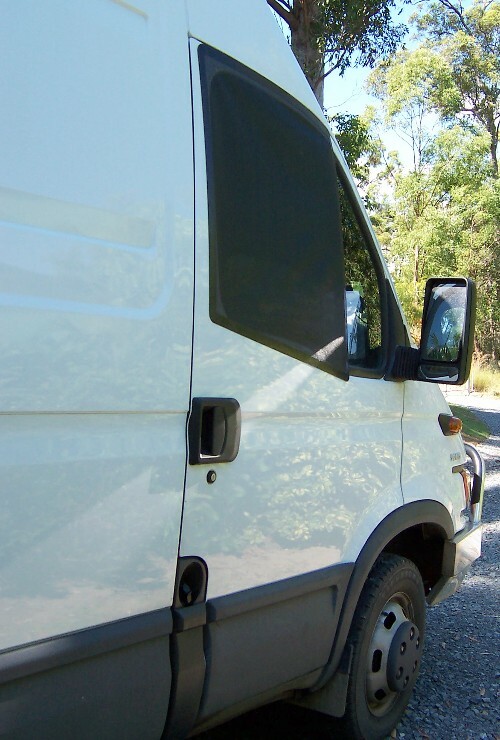 Magnetic Insect Screening Solutions for sliding door opening and tailgate opening on Mercedes Sprinter. 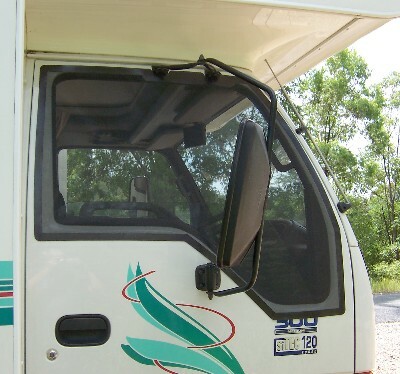 Flexible magnetic fasteners provide a 100% seal to keep insects outside where they belong but allows for easy access to the occupants when entering and exiting the vehicle. 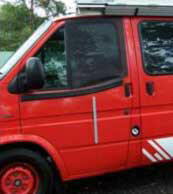 Flexible Magnetic Insect Screen for inwards sliding window on sliding door of Volkswagen Transporter T5. 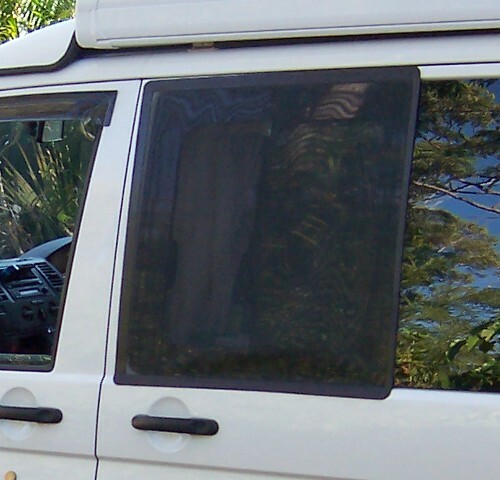 Passenger and driver window openings - Flexible Magnetic Insect Screens manufactured to fit over weather shields. 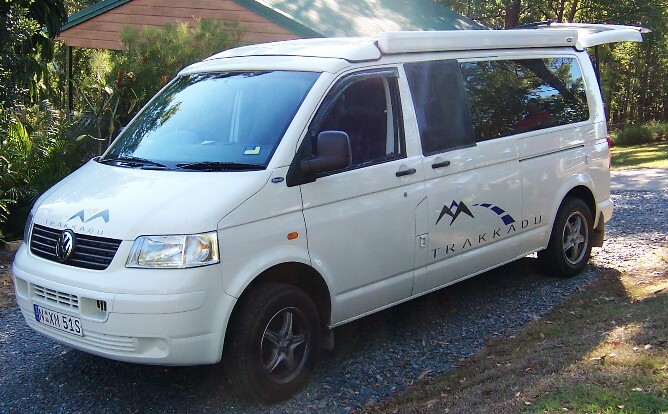 Sun Shield Cabin Set custom cut for Toyota Hiace SBV campervan provides total privacy for the occupants inside whilst assisting with interior temperatures in summer and winter and UV protection of dashboard and interior upholstery. 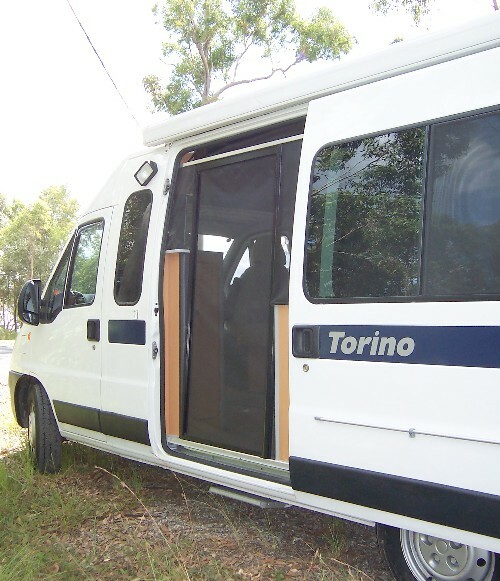 The Rollaway Cassette Insect Screening System installed in a Fiat Torino sliding door application. 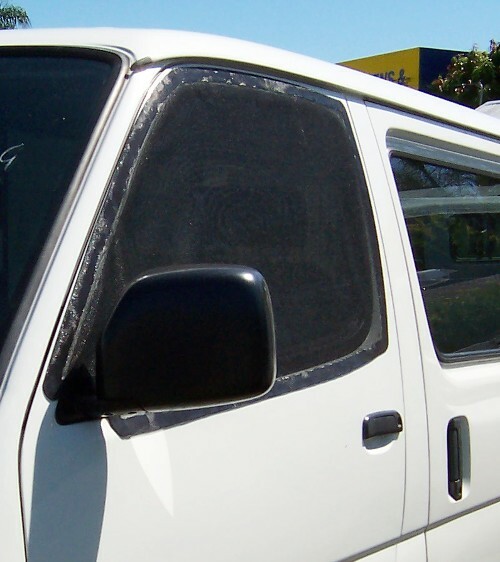 Toyota Troop Carrier fitted with Flexible Magnetic Insect Screens to the sliding windows and passenger and driver door windows. 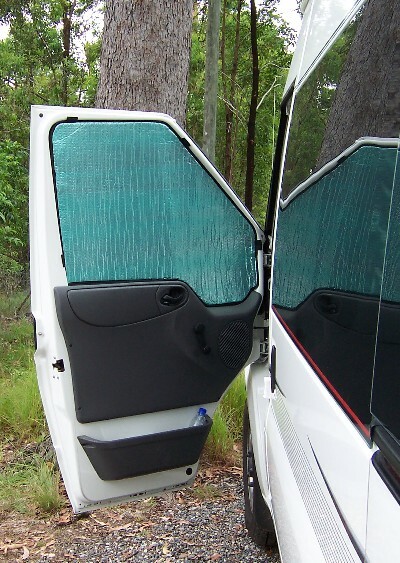 External installation of Flexible Magnetic Insect Screens for the passenger and driver door window openings of Iveco Daily. 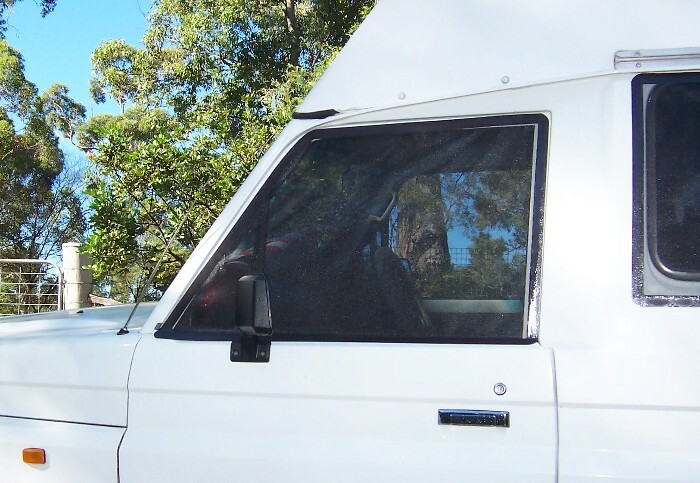 Also fitted is a windscreen Sun Shield with cut out for windscreen mounted GPS in bottom corner. 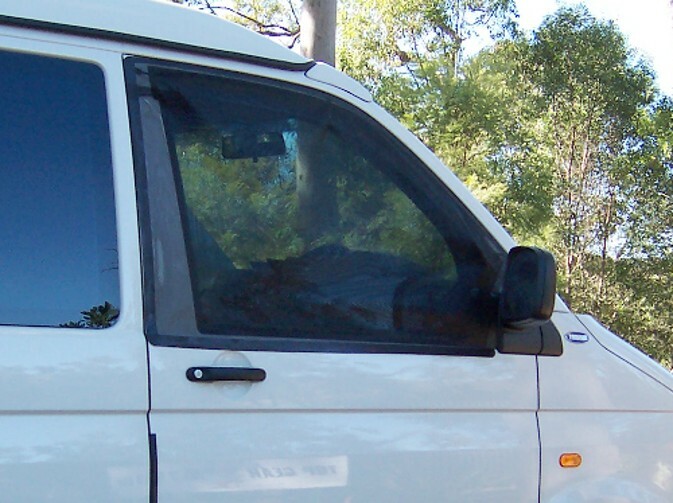 Flexible Magnetic Insect Screen for the passenger door window and the left side sliding door window of a Volkswagen Transporter T4. 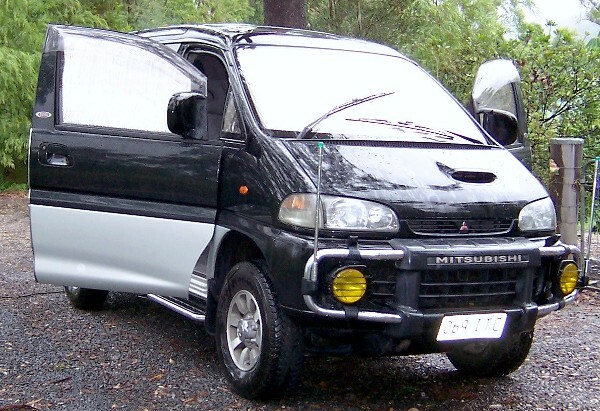 Left & above: Internal installation of Flexible Magnetic Insect Screen required on Mitsubishi Delica Royal Exceed due to weather shields installed on driver and passenger windows. 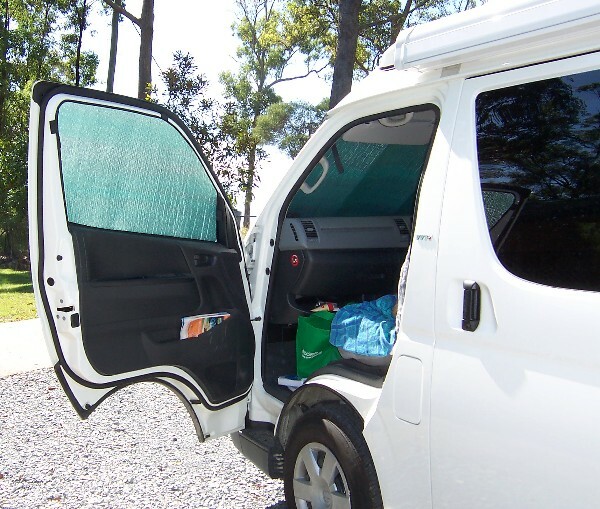 Above: Internal installation of Flexible Magnetic Insect Screen on driver's door window of 2005 year model Toyota Hiace. 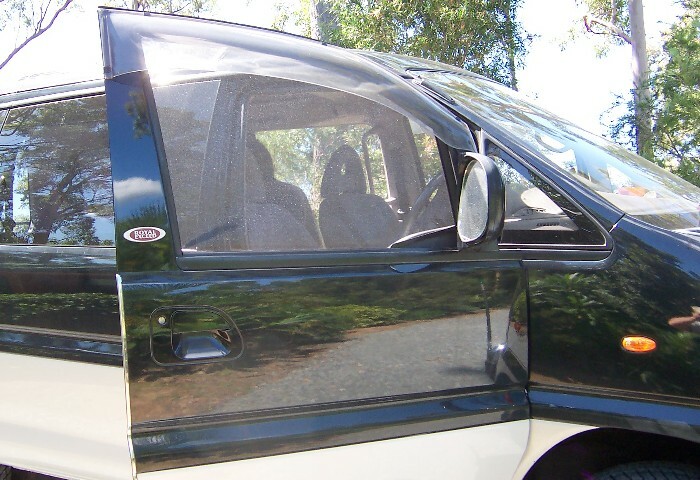 Left: External installation of Flexible Magnetic Insect Screen on passenger door window of 2005 year model Toyota Hiace. 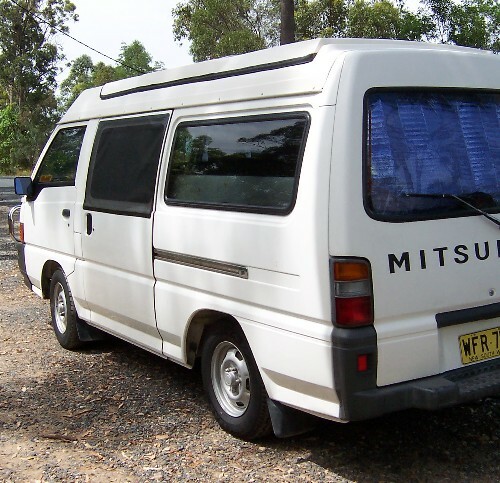 Above: Sun Shield Cabin Set installed on 2005 year model Toyota Hiace. 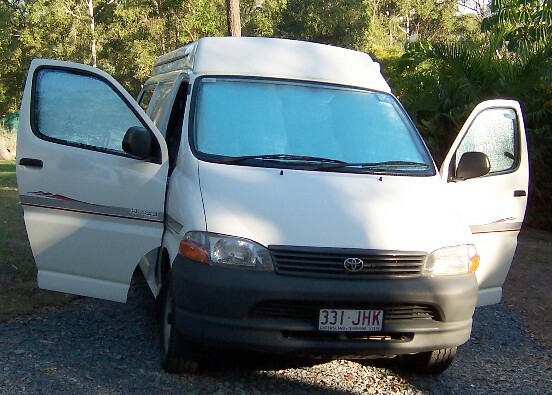 Left: Tailgate Insect Screen Assembly installed on 2005 year model Toyota Hiace. 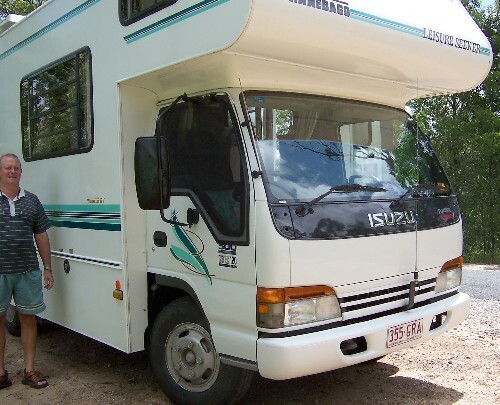 Flexible Magnetic Insect Screens for driver and passenger windows on Isuzu NPR300 Truck Cab. 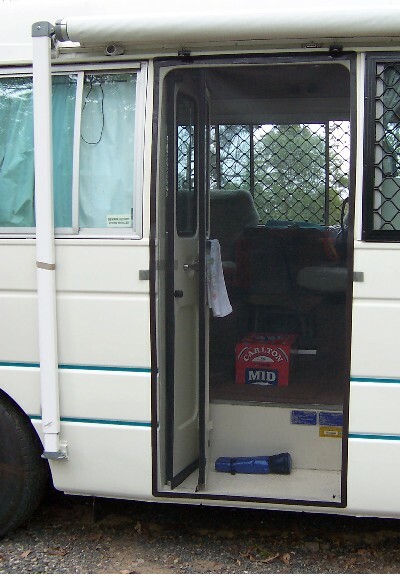 Provides a large area for flow through ventilation to motor home living quarters with a 100% seal against flies , mosquitoes and other insect pests. 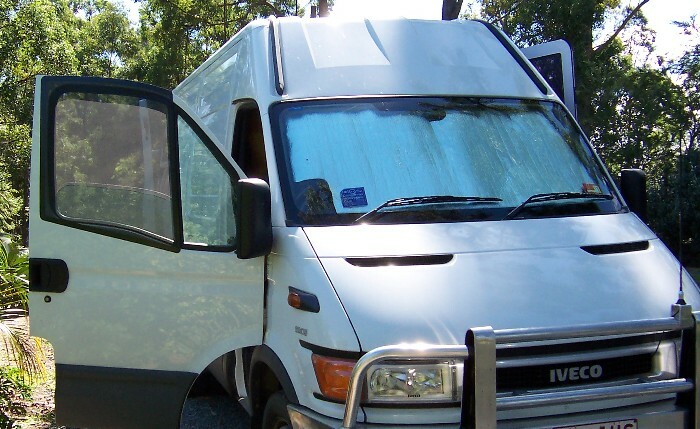 Sun Shield installed on passenger window of 2003 Ford Transit Motor home. 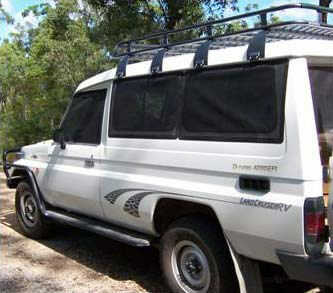 Mercedes MB140 - Flexible Magnetic Insect Screen for left side centre window on sliding door. 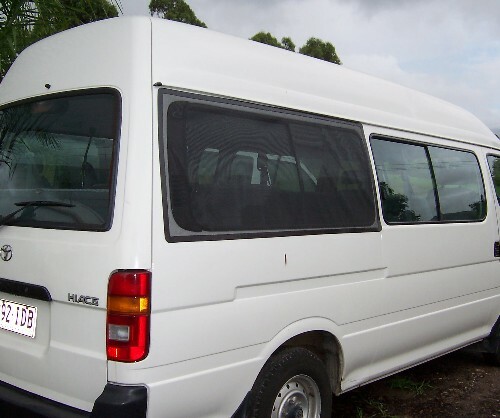 Toyota Hiace R100 Series left and right side rear Flexible Magnetic Insect Screens. 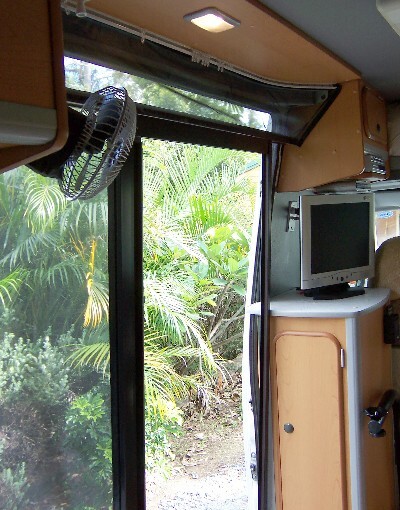 Note how the screen also covers the vent at the rear of the window. 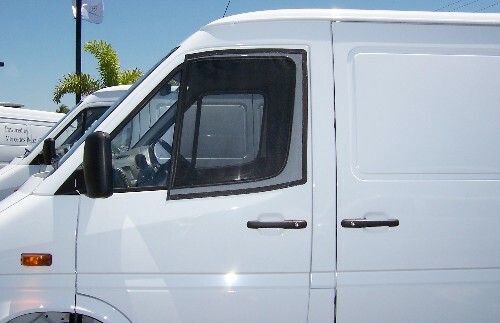 Mercedes Sprinter - Flexible Magnetic Insect Screen for front left (passenger)and front right (drivers) windows. 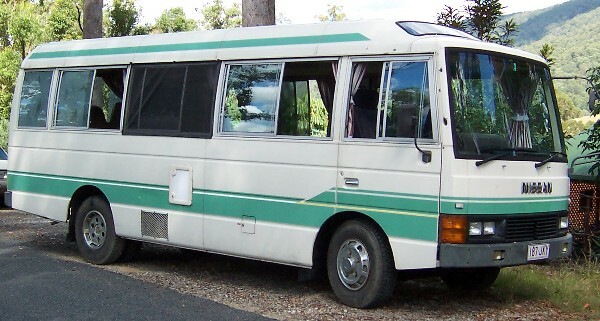 Mitsubishi Express SH Series - 1993/1994. Flexible Magnetic Insect Screen with Midgee Mesh for left side sliding door window. 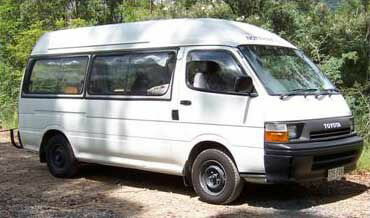 Toyota Hiace 100 Series. 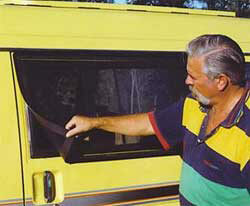 Flexible Magnetic Insect Screen for front left (passenger) and front right (driver's) windows. 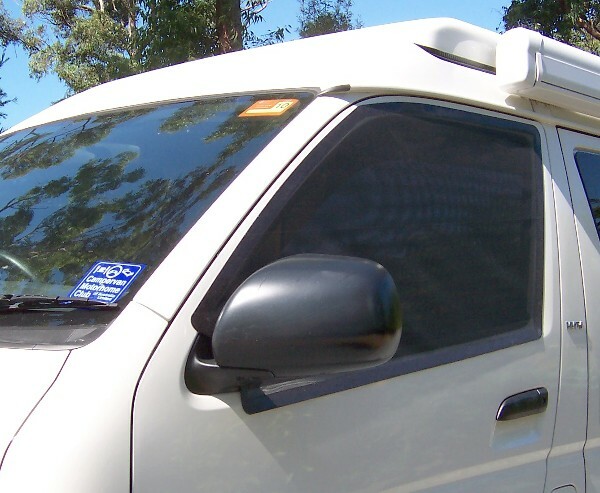 Sun Shields, also referred to as Sun Screens, Solar Screens or Solar Shields are custom cut to fit any size window to keep you cooler in summer and warmer in winter and also to provide privacy. 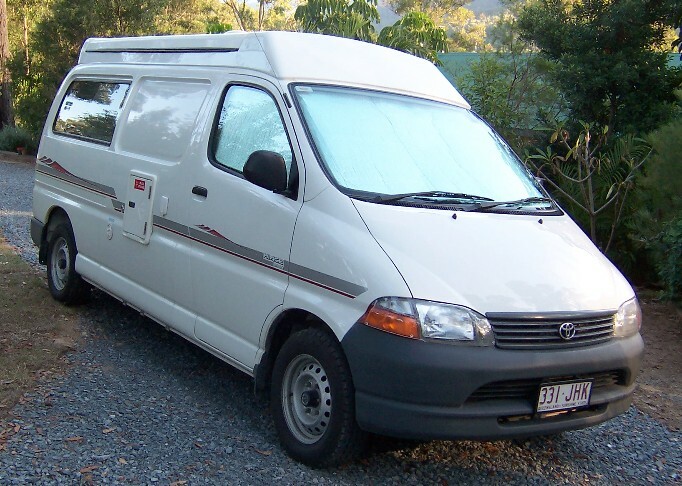 Pictured: Cabin set for Toyota Hiace Super Custom. 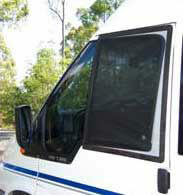 Flexible Magnetic Insect Screens installed internally on rear left and right side windows of Winnebago Transit. 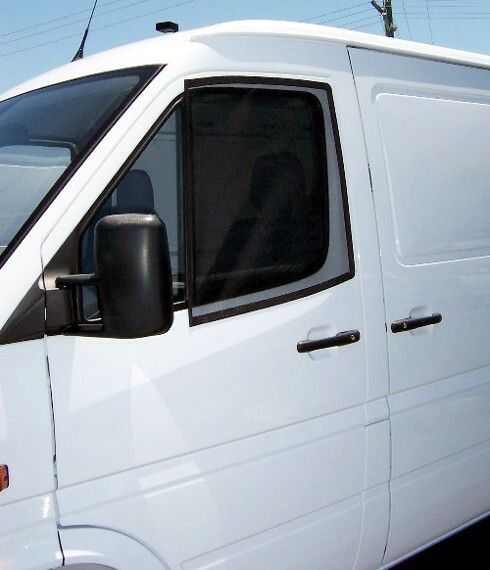 2004 Mercedes Sprinter fitted with a Sun Shield Cabin Set and Flexible Magnetic Insect Screens for left and right rear sliding windows. 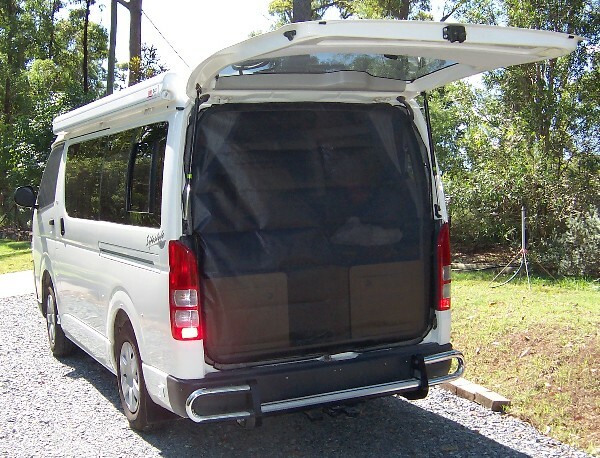 Tailgate Insect Screen Assembly installed on 2003 Volkswagen Transporter Campervan. installation of Flexible Magnetic Insect Screen. the inside of the vehicle to insect entry. 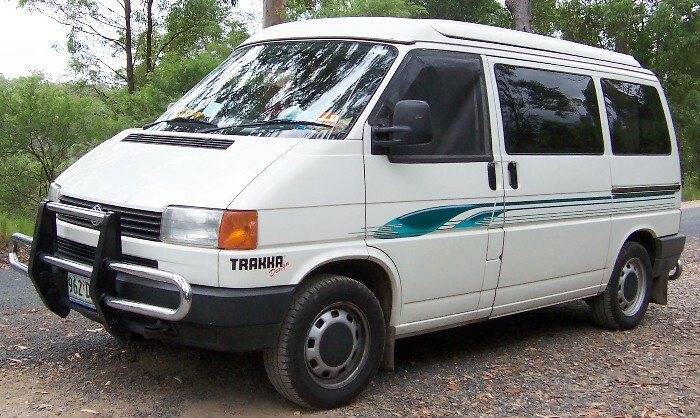 2003 Fiat Ducato. 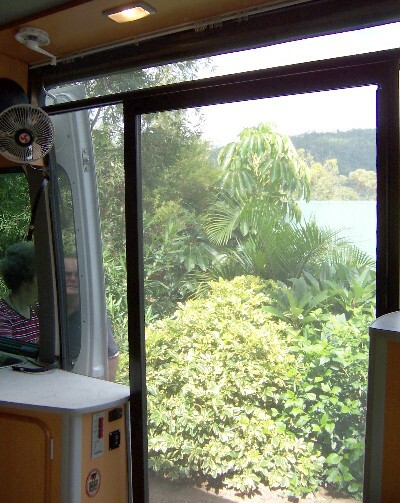 Flexible Magnetic Insect Screens for left and right side sliding windows. 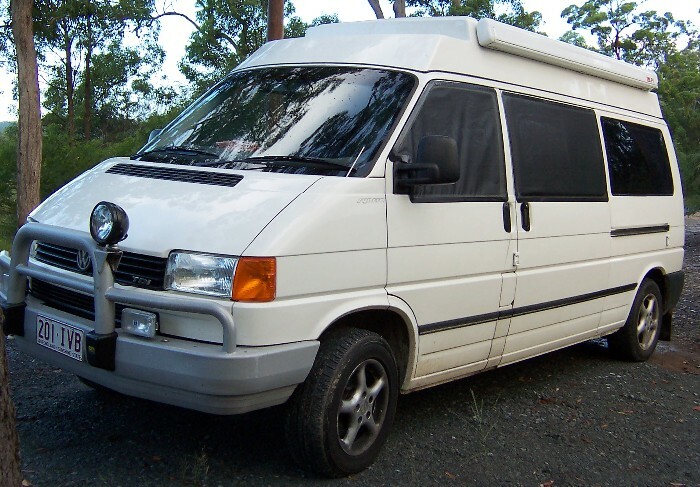 1989 Toyota Hiace Pop Top Campervan. 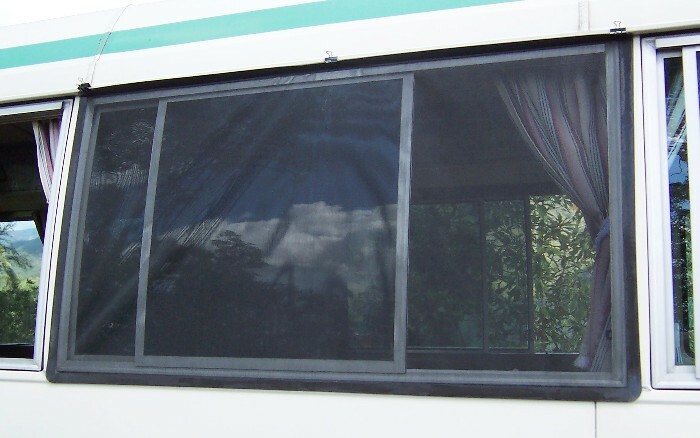 Flexible Magnetic Insect Screen for right side sliding window and front left side retractable window. 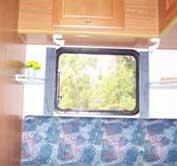 Internal installation of Flexible Magnetic Insect Screen in Winnebago Freeway. Toyota Tarago TCR10R2: Custom patterned Sun Shields for oversized windscreens. 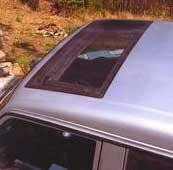 Reduces interior temperatures and protects interior from sun's damaging rays. 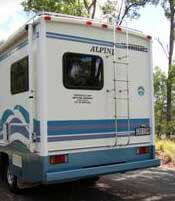 Provides privacy if camping. 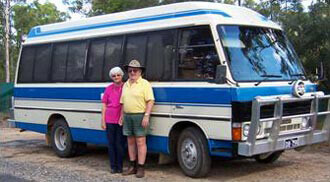 Flexible Magnetic Insect Screen installation on Mazda T3500 18 seater bus conversion for Bruce and Doreen from Barrabra, NSW. In this installation the screens are fitted externally employing the magnetic sub frame which is attached to the alloy window frames of the bus. 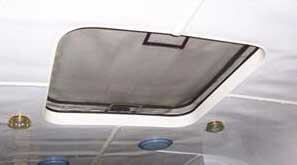 Flexible Magnetic Insect Screen for roof hatch on Silver Eaglebus conversion. Note small magnetic door panels to allow access to roof hatchhandles. 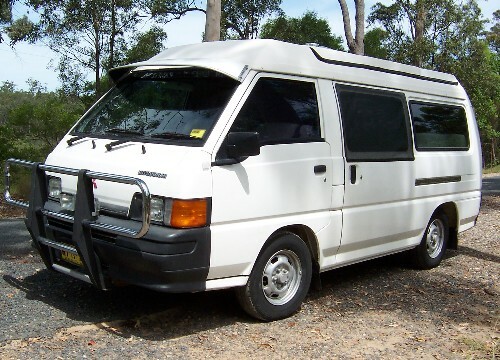 Flexible Magnetic Insect Screens for the right and left side sliding windows - 1990 Toyota Commuter. 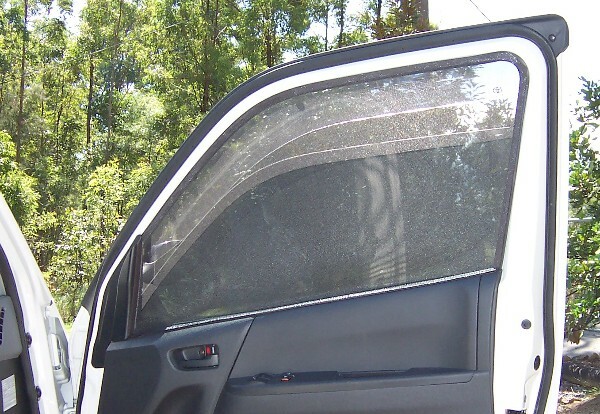 2004 Toyota Troop Carrier : Flexible Magnetic Insect screens for all retractable and sliding windows. 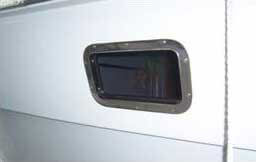 In this instance the screens are made to be installed on the outside of the vehicle. 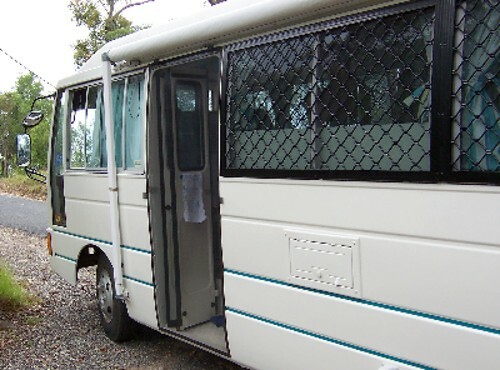 Optionally; Troopy sliding window insect screens can also be made to a size to be installed internally.